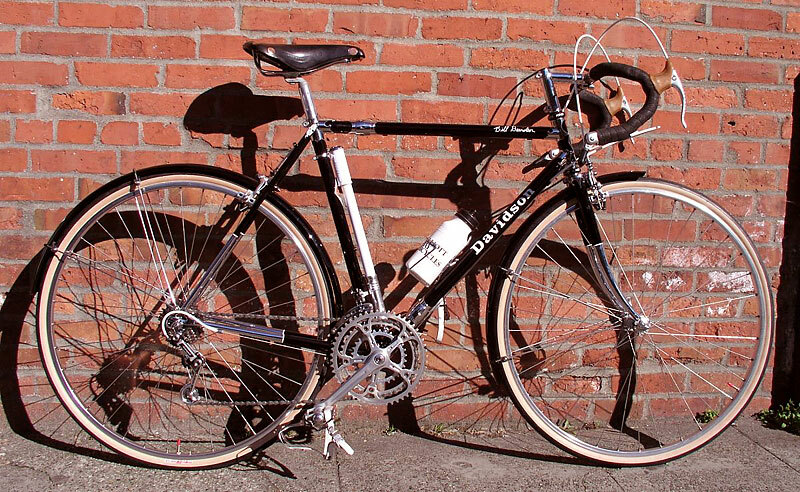 And here is my own touring bike. This one is about 4 years old. 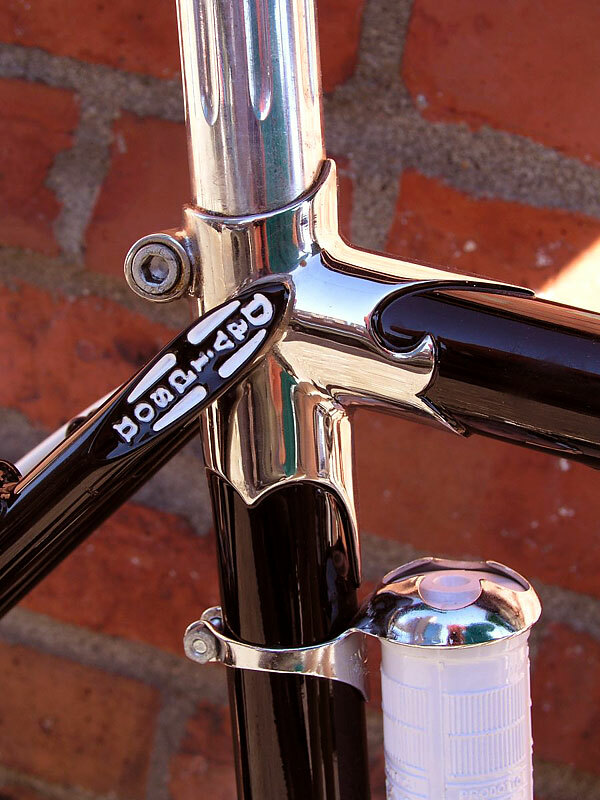 It is built with Reynolds 725, Campy long dropouts, Pacenti stainless lugs, and S and S couplings. 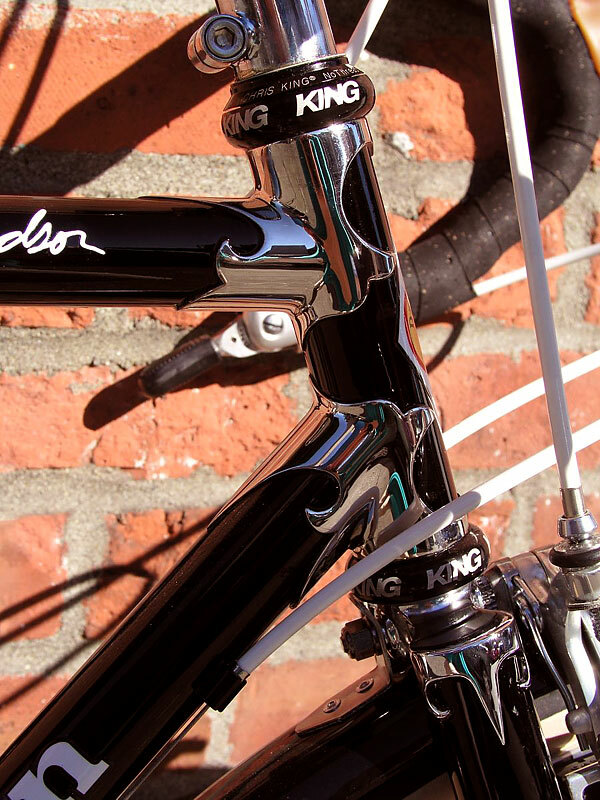 The stem is one we made, that mimics the look of a quill stem but fits the threadless fork. 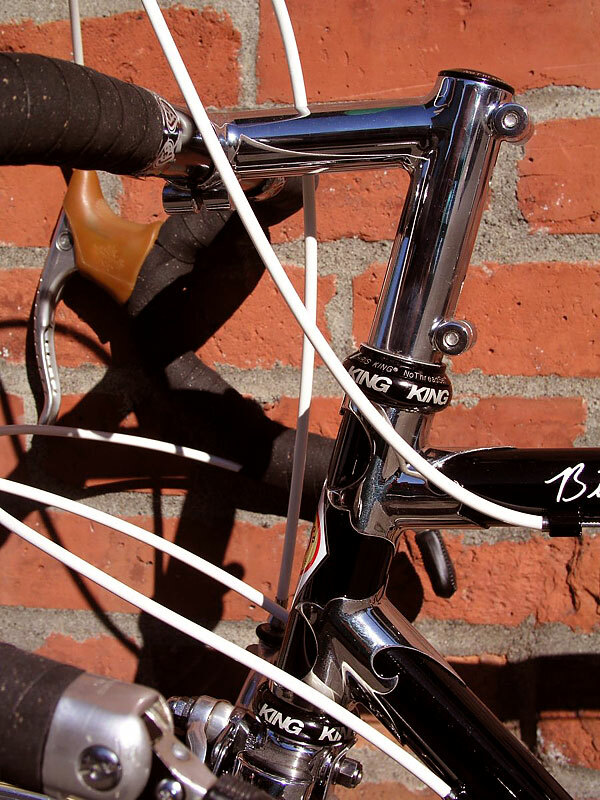 I chose to build it up vintage style with modified NOS Campy Super Record parts, Cinelli bars, Brooks saddle, and MA2 rims. For Italy I have regeared it with 26-52-47 and 13-26 freewheel. 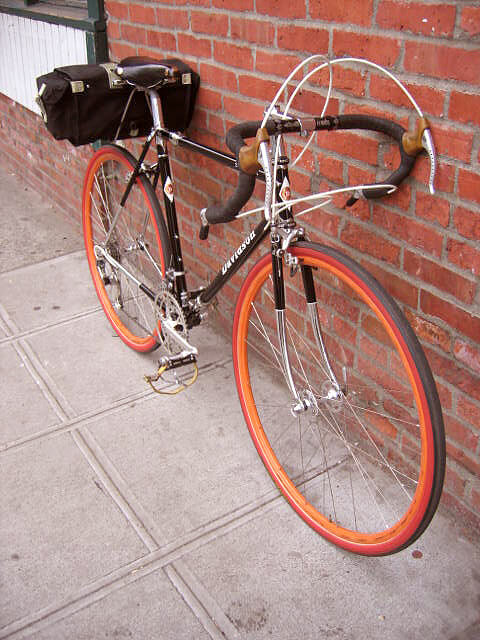 I have another set of wheels for it with Ghisallo wood rims and Tufo Cyclocross tubulars, which are wonderful to ride but the brakes howl. I've been told I need some cork brake pads on those wood rims. I use it for commuting and touring. No garage queen here either!